The multi-dimensional threat between 2011 and 2014 from China is real.The threat from China has crept to level ‘Orange’ for the past many years and the creeping invasion built over decades displays great features of stealth. First, they invaded and forcibly occupied independent Tibet. Subsequently, to protect their flank in Tibet, the Chinese demand that Arunachal be part of China. Theoretically, even if India hands over conveniently termed Southern Tibet, they will want to occupy whole of Northeast to protect flanks of Arunachal. China primarily feels threatened by existence of the Union of India as it challenges their ambition of being the unilateral power leading Asia. Instead of integration of the citizenry and consolidation of different regions, our shortsighted politicians extend a helping hand to China and Pakistan by dividing Indians internally for vote-bank-politics. Indians continue to live in isolated compartments of their making without inter-linkages with the big picture. This compartmentalized thinking is a cultural defect that ensures absence of connectivity with other multiple lateral tactical pictures. These small pictures if sensibly stitched together create ‘whole’ which helps in formulation of a grand strategy. 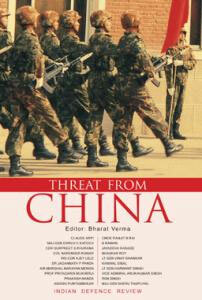 In this volume, Indian Defence Review with the help of its contributors provides, a fairly integrated picture of the multi-dimensional threat that China poses, and offers many fresh alternatives.